ASCO Motors, a company based in Fiji, has introduced a new product on the market. 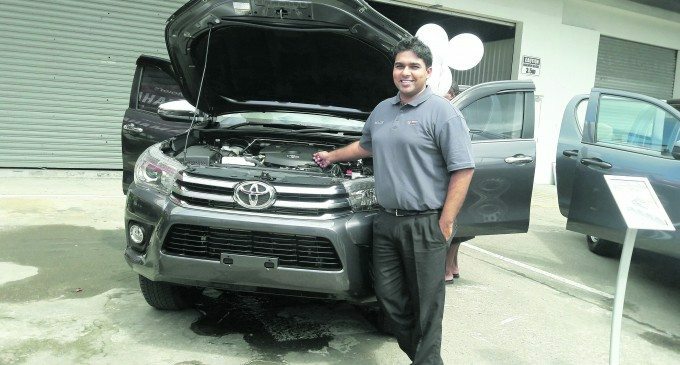 The company which is a distributor of automotive equipment marketed this new innovation of diesel engines for Toyota Hilux at their Regional Training Centre in Nabua, SUVA. The new engines are more superior compared to the older versions because of their high performance characteristics and excellent fuel consumption. There has been rising demand in the market and therefore the new innovation have accelerated sales as customers are readily available to buy the equipment to meet their needs. According to ASCO Motors CEO, Craig Sims, the new engines are on high demand and the new consignment that had been received was sold off in advance. However, he said that subsequent stocks were expected though only five engines would be available for marketing. The new diesel engines specifications are in 2.4L and 2.8L capacities. The output for the 2.4L engine is 160hp and 400Nm whereas for the 2.8L is 177hp. The other technical specifications are that the 2.4L is coded 2GD-FTV whereas the 2.8L is 1GD-FTV. The old stock of engines exists in 2.5L and 3.0L capacities which are also specified as 2KD-FTV and 1KD-FTV respectively. In terms of HP the 2.5L produces 144hp and 363Nm and the 3.0L output is 171hp and 360Nm. From the specifications stated above it can be noted that the new engines though they come in 2.4Land 2.8L capacities compared to 2.5L and 3.0L capacities of the old ones, they generate higher outputs than the old version. According to the company sources, the new engines are the first kind to use thermo wall swing insulation technology thereby providing the most thermally efficiency in existence. Further, the new engines are environmentally friendly as they are designed to eliminate pollution.